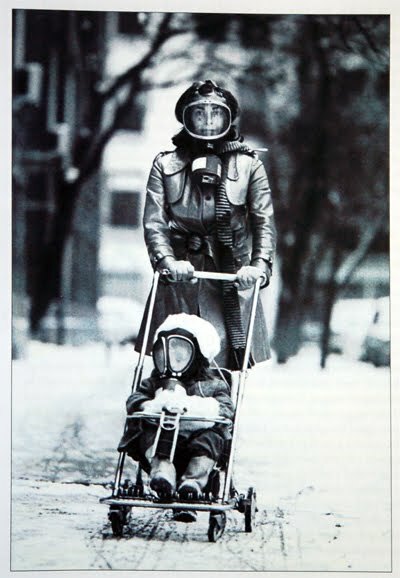 photo by Michael Mauney, Life, Jan. 30, 1970. Today is the 40th anniversary of Earth Day, which was first celebrated across America on April 22nd, 1970. It is often said that 20 million Americans participated in that event, and that it was therefore the largest protest in US history. The press coverage today, four decades later, is unlikely to talk much about the media’s role in promoting and building the first Earth Day. But this is an important issue to explore. My primary source for what follows is a 2008 award-winning paper authored by Finis Dunaway, now a history professor at Trent University in Canada. Please note that Dr. Dunaway is no right-wing anti-environmentalist. Her paper repeatedly accuses the 1970s green movement of “ignoring issues of class, race, [and] power” (p. 79) in order to “speak primarily for white, privileged Americans” (p.93). While the paper used to be available online free for all to read, regrettably this is no longer the case. Although other social movements at the time, including feminism and the New Left, were frequently ridiculed or dismissed by the mass media, environmentalists were not subjected to mockery…the mass media accorded considerable respect to the environmental cause. Indeed, the role played by the media in 1970, when the dominant issues were air pollution and over-population (rather than climate change), sounds much like the current situation. Lots of hype, dramatic imagery, and loaded language. History, it seems, has important lessons to teach us. By noticing the relationship between that first Earth Day four decades ago and media outlets at the time, it becomes clear that environmental scare stories have long been a media staple. Depending on the era, the specifics change, but the general themes remain constant. Things are dire. Scientists are alarmed. Humans are stupid. For more historical perspective, see Ronald Bailey’s “Earth Day, Then and Now” and “Earth Day Turns 40” over at Reason.com. This entry was posted on April 22, 2010 by Donna Laframboise in historical perspective, media and tagged Earth Day, historical perspective, media.